Customers can reduce break downs and future costs by utilizing Everest Auto Repair's online garage for keeping up with routine maintenance. Newark,, United States - - February 12, 2014 /MarketersMedia/ — Statistics from the insurance industry reveal failure to keep up with routine vehicle maintenance costs American drivers an estimated $2 billion annually. Despite the growing number of benefits gained from having regular upkeep performed, vehicle owners fail to do so for various reasons, leading to increased repair costs and higher accident rates across the country. 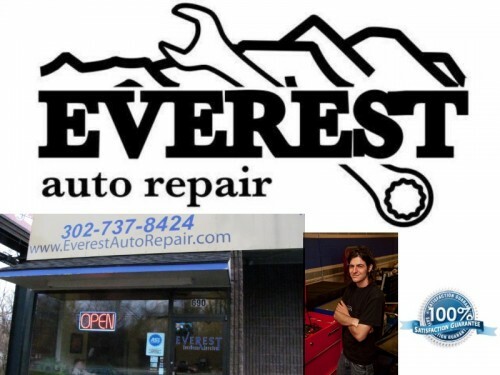 In an effort to combat these statistics, Travis Whiteside of Everest Auto Repair has launched the company's online garage (http://everestautorepair.com/my-garage/) to promote vehicle maintenance for customers in the Newark area. Whiteside confirmed, "With our free online garage, customers can enter all their vehicles into their own personalized online account. They can update their vehicles' information at any time, and they automatically receive reminders when the time for routine service approaches. Their account will also notify them of any new recalls should they arise. An account gives them access to their automotive service history as well." Vehicle owners report 2 primary reasons for inadequate automobile maintenance, one of which is simple forgetfulness. With jobs, children, household responsibilities, social engagements and numerous other tasks pressing on many individuals, vehicle maintenance appointments are rarely at the forefront of their minds. The second most common reason for lack of necessary vehicle service revolves around finances. Economic instability forces families to choose which expenses are vital and which can be avoided. Routine automotive maintenance and health insurance are the expenditures most frequently cast aside when budgets are tight. Experts note staying on top of routine maintenance provides a number of advantages. Aside from keeping repair costs at a minimum by catching small problems before they develop into major issues, doing so can help save money in other ways. Routine oil changes and fluid checks extend the life of both the engine and transmission, prolonging the life of the vehicle and avoiding untimely replacement. Replacing worn spark plugs, plug wires and clogged filters as well as making other necessary minor adjustments can sustain fuel efficiency and vehicle performance. Catching damaged belts and hoses early can help prevent being unexpectedly stranded. "These are only a few of the reasons for the importance of paying attention to vehicle care," concluded Whiteside, "and hopefully our online garage can help reduce the number of people who forget about their service schedule as well as the resulting break down statistics. To help balance the cost of maintenance, those who sign up for our online garage also receive special offers and discounts. For any questions or concerns, customers may refer to our auto repair faqs page or call to speak with one of our experts." Assuring a 2 years/20,000 miles warranty on all their work, the staff of Everest Auto Repair Newark strives to provide satisfaction to their customers. They vow to be upfront with their customers regarding necessary repairs and costs as well as ensuring any existing vehicle warranties remain intact. Through complete care before, during and after repairs and maintenance, they focus on the needs of their customers.